As the temperatures climb higher outdoors, folks everywhere are seeking refuge indoors thanks to their beloved air conditioning systems. However, so many of us have come to view what was once a luxury as a necessity for daily living. Many more have forgotten about air conditioning’s humble beginnings, and the man who literally redefined what it meant to “be cool” back in 1902. The summer of 1902 was another record-breaking scorcher all over the Eastern seaboard, but New Yorkers were hardest hit. Handfuls of citizens were falling ill each week due to heat stroke and dehydration. To be working indoors during this time, with industrial machinery cranking out even more heat inside buildings with little ventilation, was practically unbearable and even a death sentence for some. The week prior to July 17, 1902, seven people died from heat-related issues. On the second floor of a Brooklyn publishing building, the Consolidated Lithographing Corporation was busy creating the next issue of the humor magazine, Judge. The magazine featured whimsical images which had to be printed color by color, for instance, black one day and cyan the next and so on. However, the heat and built-up humidity meant the ink wasn’t drying fast enough and the colors weren’t lining up properly. Also, the paper began to curl at the edges, making it difficult to feed into the printing press. Production would suffer from frequent delays because of these complications. Enter Willis H. Carrier, a young engineer fresh from Cornell University and employee at Buffalo Forge Furnace Company who developed a solution to the company’s cooling problems: air conditioning. While a far cry from the central air systems we know today, Carrier created the necessary foundation. He revolutionized a way to cool down workers and their heat-building machines by blowing air over cold water pumped from underground springs into the building. Production no longer had to suffer, and the concept of controlling temperature snowballed. Called “a Johnny Icicle planting the seeds of climate control all across America” by American Heritage Magazine, Willis H. Carrier had started a movement that took the world by storm and redefined the standards of home living. 1903 – Carrier built a refrigeration unit to cool the water pipes faster. 1911 – He released the Rational Psychometric Formulae, which became known as the “Magna Carta of Psychometrics” and the building blocks for modern air conditioning. 1925 – The modern air conditioning system, featuring air blown through water instead frost-prone pipes, debuted at Broadway’s Rivoli Theatre. 1955 – One in every 22 American homes had air conditioning. 1960 – One in every five American homes now had air conditioning. 2003 – During another sweltering summer, a blackout across the Northeastern U. S. reminds people how intolerable modern life would be without Carrier’s invention. 2010 – Over 100 million American homes, 87 percent of the population, have air conditioning. 2012 – The Brooklyn publishing building, where it all began 110 years ago, still remains without central air. Window units dot along the second floor of what is now rented studio space. Many have even said that Willis Carrier paved the way for the Internet, since his air conditioning unit reduced dust and allowed for the construction of clean-rooms in computer and electronic companies. No one can argue that Carrier changed the nation, even the world, with his miraculous invention, yet scientists and ecologists are concerned that our dependency for air conditioning is unsustainable in the long run. Many countries like China and India burn coal in order to supply energy to their electricity grids, which includes air conditioning their homes and businesses, and this means a hotter planet overall for Carrier’s creation to attempt to cool down. Despite worries about the future of climate control capabilities, the present has given us a respite from the summer heat all thanks to Willis Carrier and his brainchild. Happy birthday, air conditioning, and thanks for still being so cool after 110 years. 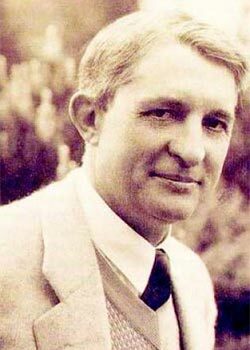 This entry was posted in Air Conditioning and tagged air conditioning birthday, Willis Carrier by admin. Bookmark the permalink.